Do I Qualify for a HARP Loan? Owning a home is a part of the American Dream. Unfortunately, hard economic times have plagued a large portion of the U.S., making it difficult for citizens to keep their homes. To help millions of people afford to stay in their properties, the government introduced the Home Affordable Refinance Program or HARP. This program was created as part of the economic stimulus program for the year of 2009. It granted homeowners the ability to refinance their homes even if there was little to no equity in their properties. Then came HARP 2.0, which is an improvement of HARP 1.0. Some of the restrictions were lifted in hard-hit states, such as Florida, California, and Nevada. The lender liability clause was also removed. If you’re considering taking advantage of HARP 2.0, then you have until December 2018 to do so. But first, let’s see if you qualify for a HARP Loan. 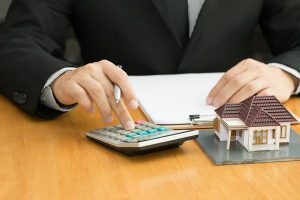 Who Qualifies for a HARP Loan? There are five basic requirements you must meet to qualify for a HARP loan. The first is your loan must be a Freddie Mac or Fannie Mae loan. These are both Government Sponsored Enterprises (GSEs). If you’re unsure of the organization that owns your loan, check with your mortgage company. Secondly, you may qualify if Freddie Mac or Fannie Mae acquired your loan on or before May 31, 2009. Third, you have to be current on your mortgage payment, with no late payments within the past six months. Also, you can only have one late payment on record within the past 12 months. The fourth criteria is you must have a loan-to-value (LTV) ratio that’s above 80%. Lastly, the home has to be your primary residence, second home or an investment rental property. Just expect a higher mortgage rate for an investment property if you don’t live in it. You can even qualify for this program if you already have a second mortgage and if you’ve been turned down in the past. No equity in your home? It doesn’t matter. Homeowners are qualifying no matter the amount of equity (or lack thereof) in their houses. Why Get the HARP Loan? If you’re interested in refinancing with this program, consult with a mortgage professional who specializes in HARP loans. At 7th Level Mortgage, we have agents who can help you get the refinancing you need to stabilize your payments. We understand how devastating financial woes can be. Allow us to help you get your life back on track before you lose your home. The deadline is quickly approaching, so you must act quickly. Contact us today to get your HARP application started!